If you’re a regular reader you may have noticed that building resilient and supportive communities is a running theme on this blog. 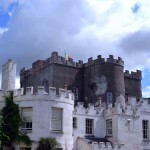 Bianka from Carlow Tours, our chauffeur and guide for the bloggers day, is flying one of many flags for Carlow. 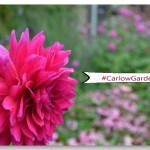 She’s not only created a small business for herself, but in doing so, Carlow Tours are attracting visitors to the county which helps other business’ to thrive. Bianca’s enthusiasm and passion for Carlow is infectious as she shares myths and tales of our local history and heritage, ensuring that ancestors communities aren’t forgotten either. 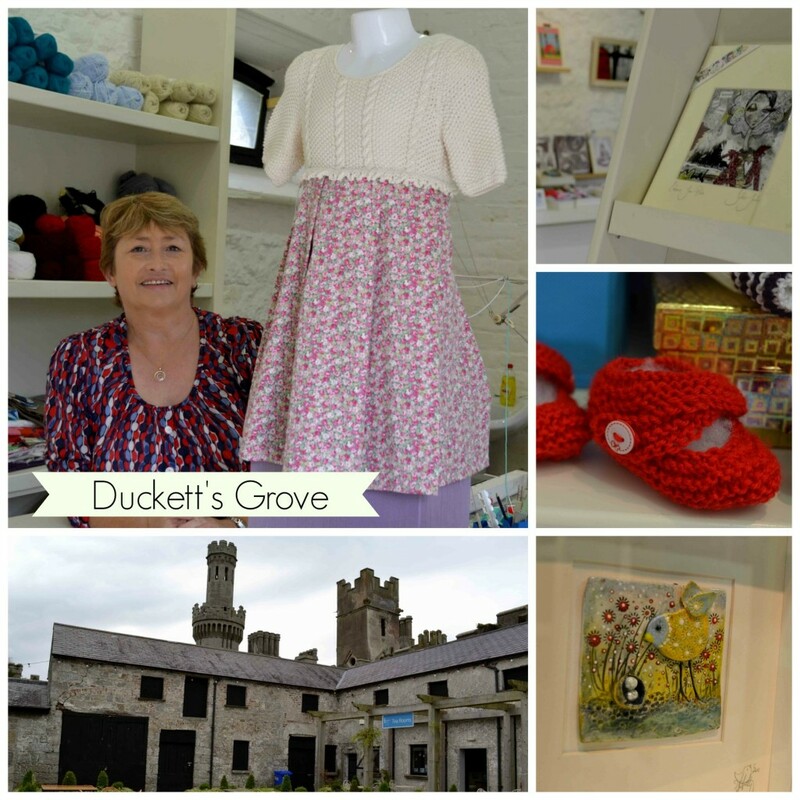 Thanks to Carlow Council, like other old houses and estates Duckett’s Grove have opened the gardens, buildings, stables and outbuildings to crafters, tea rooms and a visitor centre. 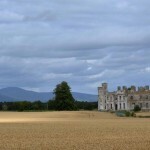 Owners of country houses are realising that we enjoy poking around different shops and buildings along with taking tours and tea in their gardens and houses, giving them the wherewithal to keep the premises open and also providing small business’ with a home and an opportunity to delight us with their wares. It’s a collaboration that seems to be working well for everyone. Carlow Farmers Market, like many others around the country, support and promote each other. Our local market traders meet every Saturday in the Potato Mart in the centre of Carlow town, selling locally grown, produced and packaged food. The growers and retailers encourage and fly another Carlow flag for good, tasty, often organic, wholesome food. They also provided a tasty picnic for the bloggers on our tour, giving the group the opportunity to sample of some of the tasty treats on offer in Carlow, from bread, cheese, fruit and meat to pickles, crackers, juices and beer. 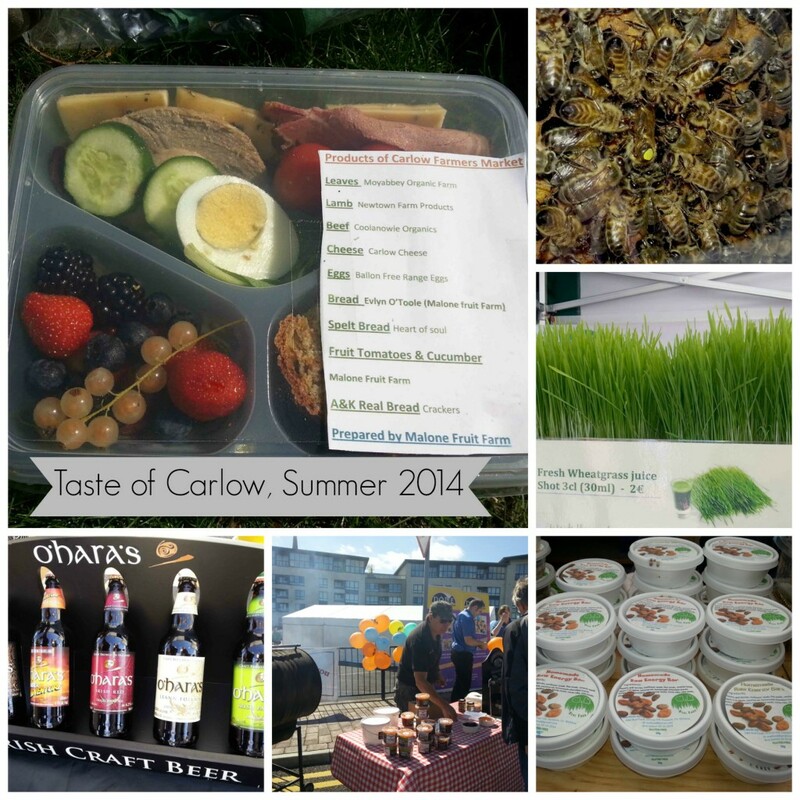 The Taste of Carlow Food and Craft Festival is a two-day event, the first taking place in August, the second in December. Here, traders around the county and beyond are encouraged to take a space and show us what they can offer. From the Carlow Farmers Market regulars to toy sellers, food stands, eco trails, artists, bungee trampoliners, facepainters, crafters and more, they encourage the community to visit, meet, play, shop and spend. 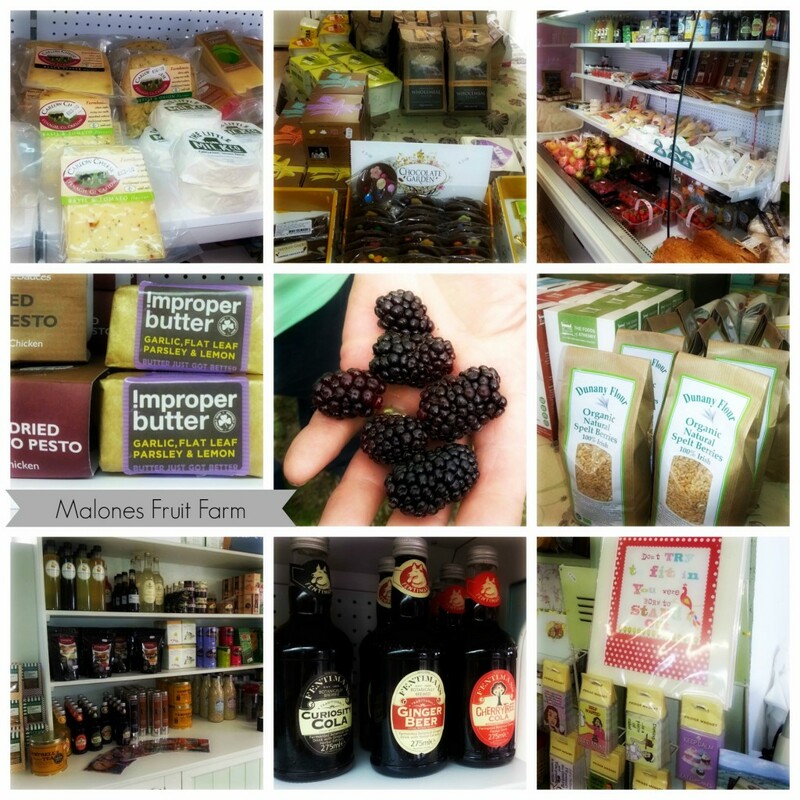 Given my love of fresh food I’m almost ashamed to reveal that I’ve never called into Malone Fruit Farm shop having driven past it countless times, but that’s set to change. From when you first walk through the doorway, the little shop is a delightful emporium of food, crafts, locally grown, locally made, artisan, free range, frozen, fresh… I could go on and on, it really is a treasure and if you’ve ever dreamed about owning a farm shop, Malone’s is one you’ll definitely want to visit to get a feel for the best they have to offer. 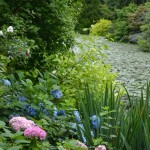 The owners of Huntington Castle have opened their home and gardens to encourage visitors to look around, drink tea and eat cake. For years the house was a the central point of the community, employing locals, acting as a garrison then in later years, opening up to a global community as the foundation centre for the Fellowship of Isis. 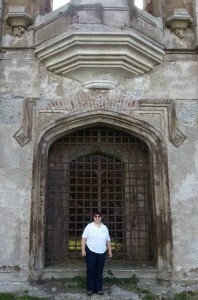 Nowadays they offer their home and gardens up for people to visit and tour, as accommodation, as a venue, either for private events or more public ones such as vintage fairs, where stallholders can sell their goods to interested shoppers. 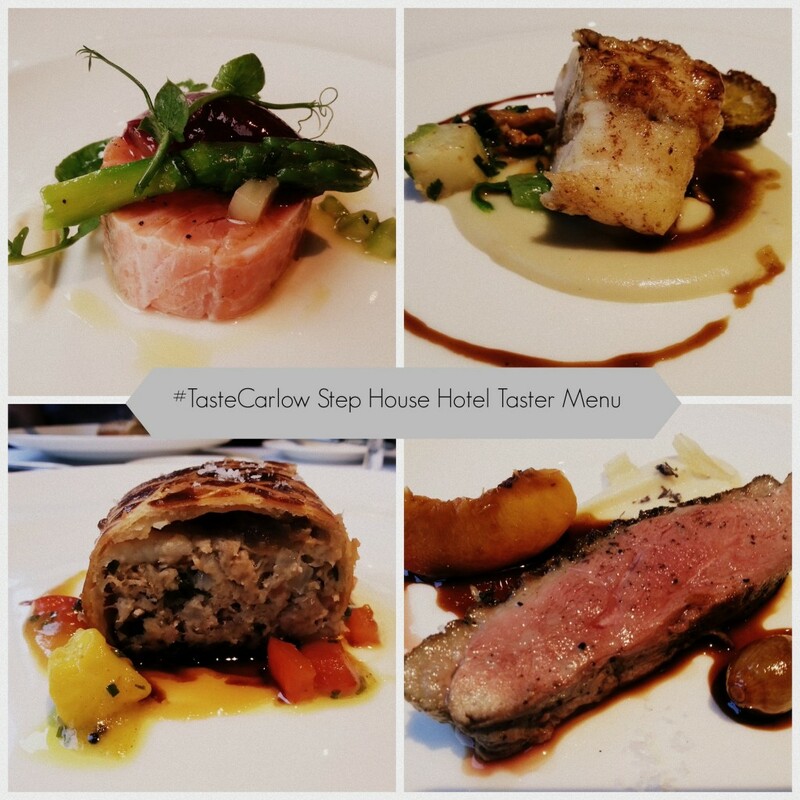 The Step House Hotel, our last venue on the tour where we literally experienced another Taste of Carlow thanks to the tasting menu put together by Chef Alan Foley. 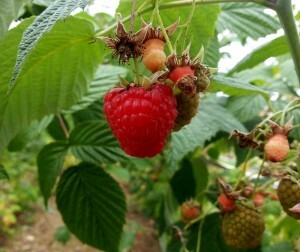 Alan takes pride in sourcing as much of their food for his kitchen from local growers and producers as he can. 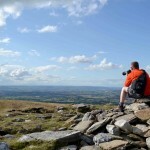 The Step House also share their tips and suggestions on where to head to when visiting Carlow on their website and blog. For all my positivity, I’m a realist too. It has to be acknowledged that as well as supporting one another, groups can get caught up in nitpicky and destructive habits, but where does that lead us? Disjointed, disfunctional, hurt, frightened and fragmented. Yet as these few examples have shown, by simply working together and encouraging one another, we can breed optimism and success. I know which road I prefer to travel along. How about you? Contact them directly for more information or to book a place. Lovely post Dee, I enjoyed the recap of last Sunday as much as I enjoyed reading about how strong a community has been forged in Carlow. What a gorgeous day out. I must check Cultivate out. I’d like to be involved in something like that. We were lucky to be blessed with wonderful weather too Marian. Cultivate have some really engaging workshops and symposiums, definitely worth checking them out.